Chinese Vice Finance Minister Shi Yaobin told Reuters that U.S. President-elect Donald Trump should “be aware of the economic cooperation with China” after Trump made “taking on” the world’s Number 2 economy an integral part of his campaign. Yaobin is referring to Trump’s plan to tax Chinese imports in a effort to prevent inflation and currency devaluation. Yaobin went on to claim that his message is being directed not only at Trump but the American people as well. 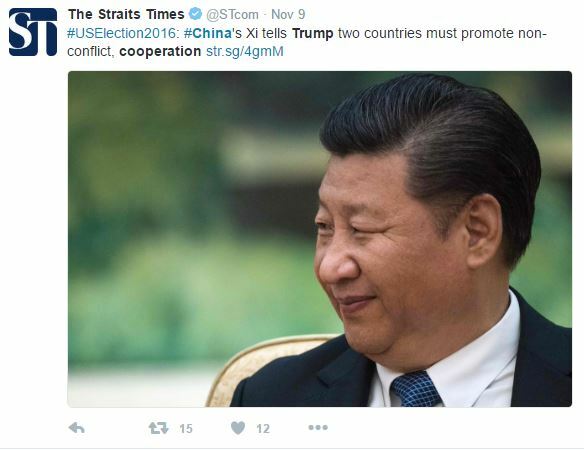 Yaobin continued to state that he hopes both countries can pursue non-conflict and cooperation throughout Trump’s presidency. The press conference that was held in London.